Inspired by the live journals kept by hikers of the Appalachian Trail, we at the Clinch-Powell Resource Conservation and Development Council decided to journal about our own trail: The Appalachian Quilt Trail. The Appalachian Trail, or AT for short, is a long hike that runs the whole stretch of the Appalachian Mountains, beginning in Spring Mountain, Georgia and ending in Mount Katahdin in Maine. Along the way there are beautiful views, flowers, little towns to explore, and an adventure around every blaze. The Appalachian Quilt Trail (also known as the AQT) is a trail made of barn quilts throughout East Tennessee and Southwest VA. It is a journey through time and a journey into the new. Along the trail visitors can stop at local farms, farmers markets, wineries, pottery barns, historical sites, llama farms, bee farms, and so much more! The AQT is a perfect way to get out and explore the diverse and beautiful setting of our Appalachian Mountains and the meet the people who inhabit this region. A few of our AmeriCorps members, plus a tourism guide, will be visiting places along the AQT and blogging about them. We’ll bring our experience of the trail to you and, hopefully, we’ll inspire you to get out and about for your own adventures on the AQT. We want you to SHARE with us your experiences! If you have been to any of the spots we feature, or want to go, please write in the comment section. 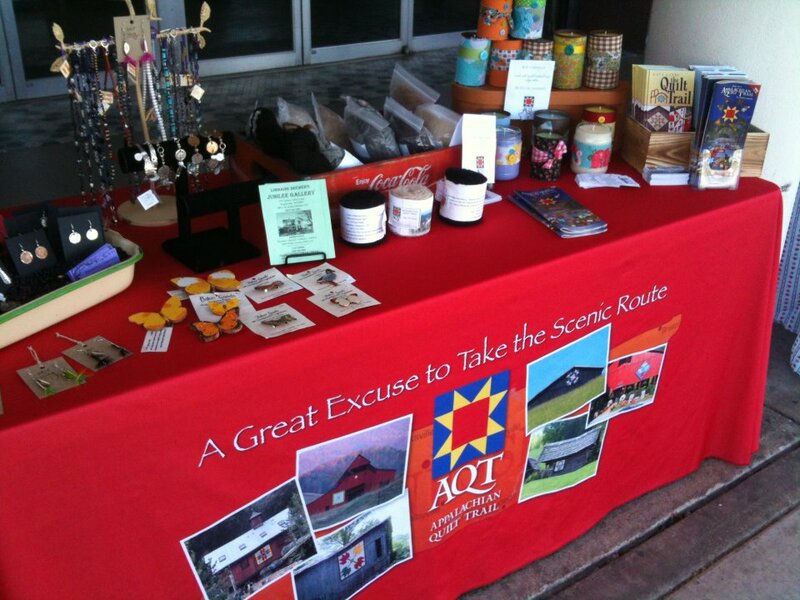 The Appalachian Quilt Trail is a program by the Clinch-Powell RC & D located in Rutledge, TN. Sawtooth Stories comes from the name of our own quilt square at the historic Bryan House, Clinch-Powell RC & D’s home base.